With Australia currently experiencing a sharp increase in the supply of medical practitioners, this research investigates the impact of a competitive labour market on health outcomes and the earnings and distribution of medical practitioners. Australia has experienced a sharp increase in the supply of medical practitioners in recent years as a result of the opening of more training institutions and the liberalisation of migration requirements for internationally-qualified doctors. But the impact of this increase on health outcomes and the earning potential and distribution of medical practitioners across regional and metropolitan areas is still largely unknown. 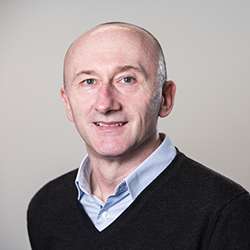 This Australian Research Council-funded Discovery project, headed by the Melbourne Institute's Professor Anthony Scott, examines the impact of competition and increased supply on health services, including the prices charged, patient waiting times, the quality of care provided and the health status of patients. With the degree of competition depending heavily on the specialty and location choices of medical practitioners, the research team will also develop structural models of the location choice and mobility of medical practitioners, to be used to evaluate the effect of location-focused policies, such as financial incentives for doctors to work in rural areas. Finally, the team will also investigate if the increased supply of medical practitioners leads to improvements in health status and/or an increase in health care costs. The research outcomes are expected to generate new and important evidence of the impact of increased supply and competition in medical labour markets and influence governmental workforce planning policies.